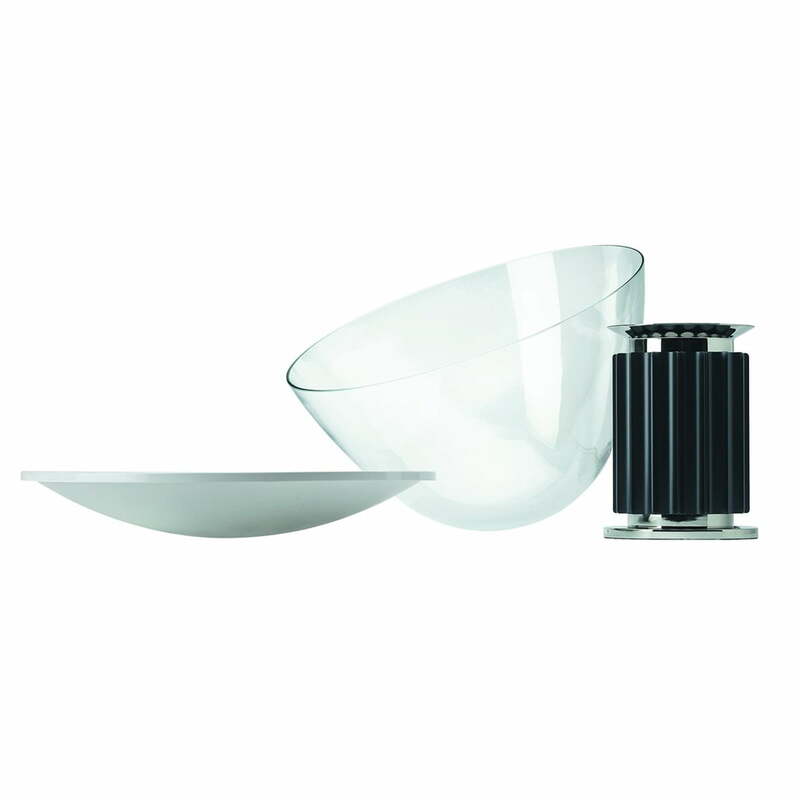 Achille and Pier Giacomo Castiglioni designed the Table and Floor Lamp Taccia for Flos in 1958. Today the classic gleams with ultramodern LED-technology. In an interview of 1970, the grand old master Achille Castiglioni said about the Taccia: "For us, this lamp is the Mercedes-Benz among luminaire; a symbol of success, possibly because the socket looks like an ancient pillar. 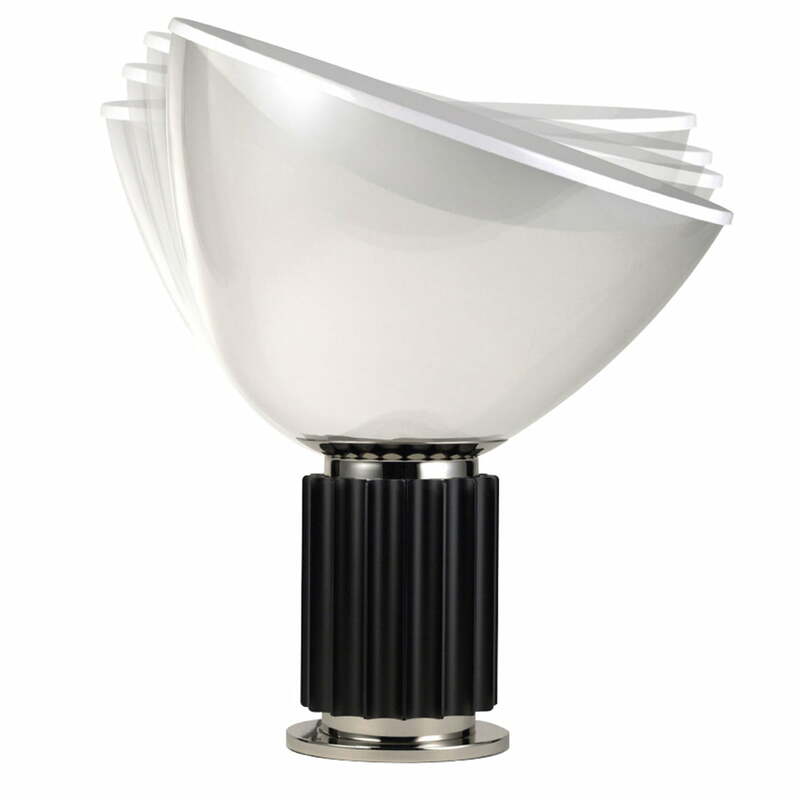 However, when we designed the Taccia Lamp, prestige was not in the focus at all. Moreover, the main focus was basically on a surface that remains cool". The conception of Taccia was created by the Castiglionis in 1958 and the prototype was released just a year later. However, before the actual launch date for the start of the Tacchia lamp series production was given, the manufacturer Flos took a long time to proof the design. 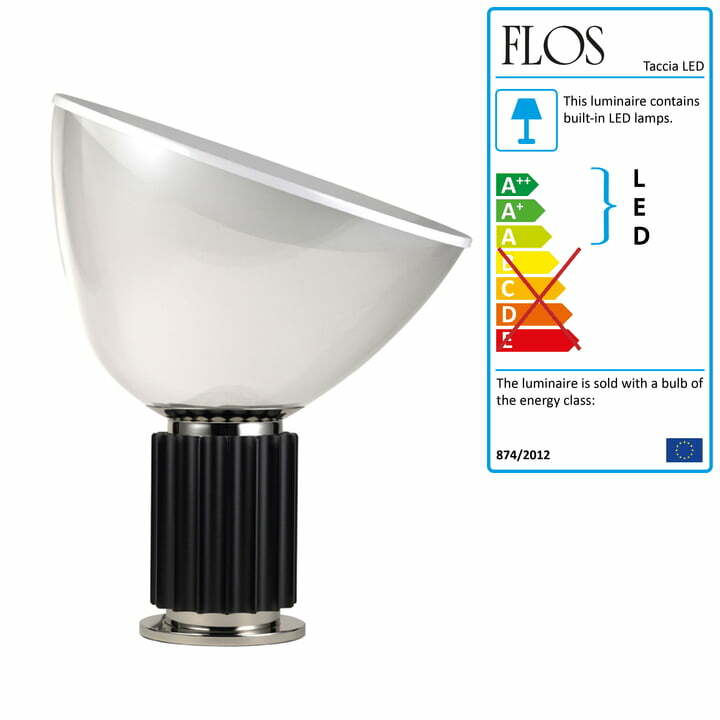 This was a wise decision because up to now the lamp of Flos shines - in the meantime even available in an energy-saving Taccia LED version. 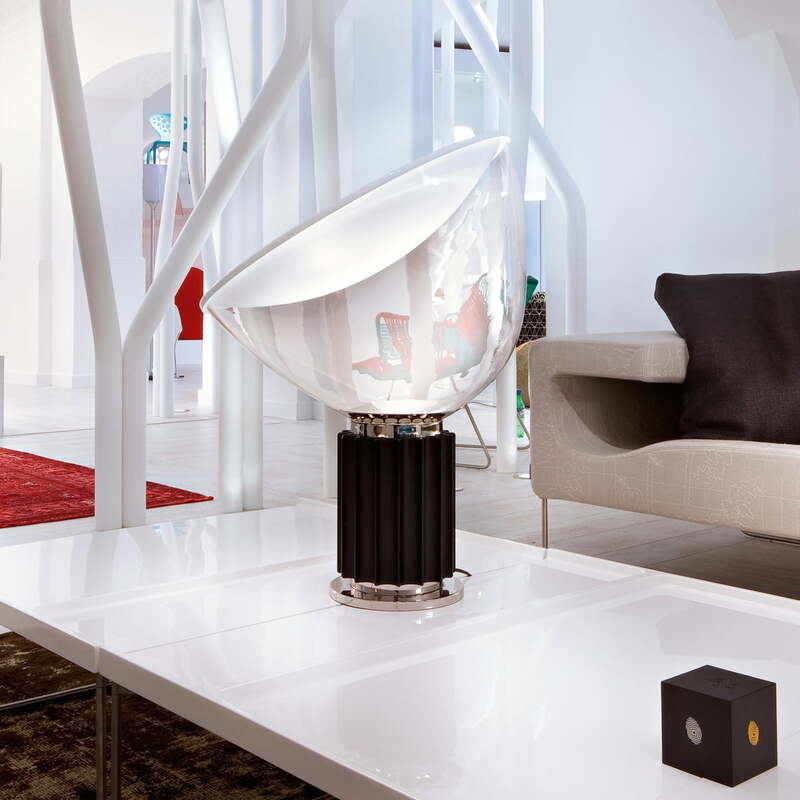 The reflector of the Taccia table and floor lamp has a gloss white finish inside and white powder-coated outside. The adjustable diffusor consists of mouth-blown transparent glass, the lamp body is made of matte black or anodized silver extruded aluminum. 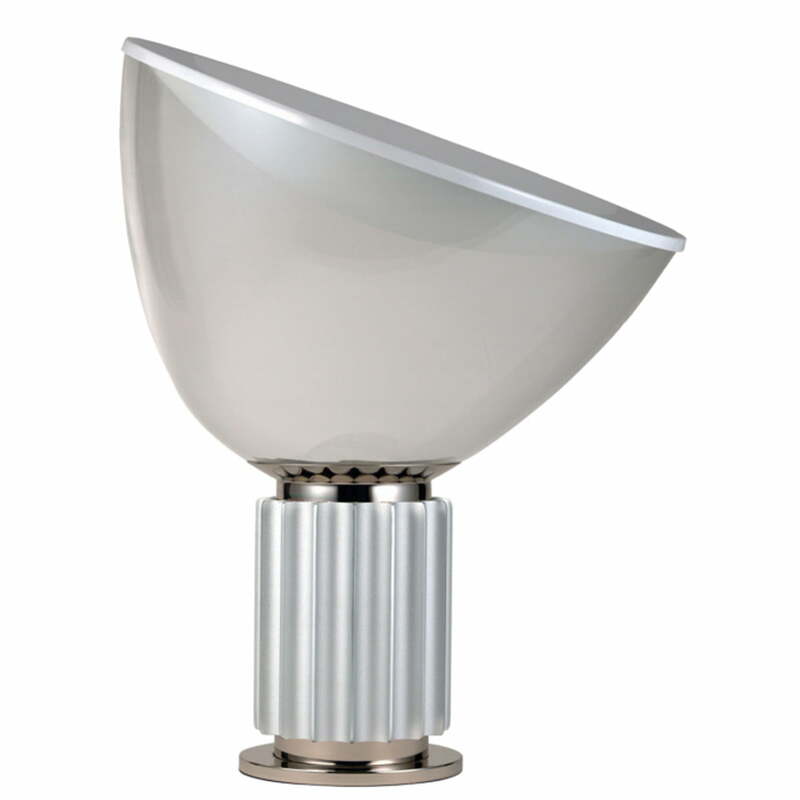 The base consists of nickel-plated and zapon-varnished polished steel. Switching on and off takes place via a switch on the electric cable. This light classic provides indirect and reflected light as well as an adjustable glass diffusor: the LED illuminant in the socket lights up the inside of the reflector plate which reflects the light in the desired direction. 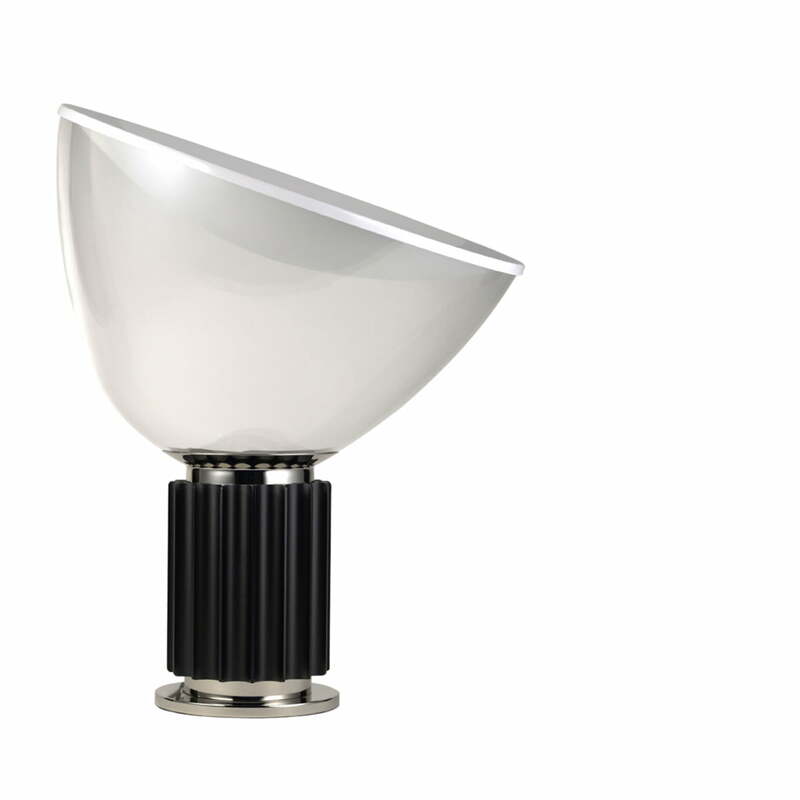 Despite its unusual way of producing light, the Taccia LED is suitable or a variety of purposes: either as a desk lamp for working matters, on the chest of drawers in the living or bedroom as an ambient lighting or mood illuminant, or even as a floor lamp for illuminating the floor directly, e.g. thereby it lights up corridors.